Queen Aliquippa's likeness in the Heinz History Center's Pittsburgh: A Tradition of Innovation exhibit. Good Question! listener Martin Thomas of New Kensington said he was intrigued to learn that Queen Aliquippa interacted with George Washington and lived in the Pittsburgh region. "And I thought, 'Wow that's interesting! How can this happen in this area and I've never heard of her?'" he asked. Some of the most comprehensive information about Queen Aliquippa lies in the Heinz History Center exhibit "Pittsburgh: A Tradition of Innovation." The Iroquoian leader was born around 1680 in modern day Lancaster County, according to Mike Burke, an exhibit specialist from the Fort Pitt Museum. She moved west around the turn of the century for likely the same reason many did. "European settlers come up and push against these [Native American] communities," Burke said. "So [their] solution is often to just move further west." A flag with an image of a Native American leader hangs in the municipal building in Aliquippa, Pa., about 20 miles northwest of Pittsburgh. This figure is probably not Queen Aliquippa. Queen Aliquippa's group probably settled in McKees Rocks around 1730. Burke said in the Iroquois Confederacy, or Haudenosaunee Confederacy -- an overarching term for the Mohawk, Oneida, Onondaga, Cayuga, Seneca and Tuscarora tribes -- women were often advisors to chiefs, on subjects such as what political direction to take or when to go to war. "Whereas Queen Aliquippa appears to be the main leader of a community of Senecas and Cayugas, and probably some Shawnee and Delaware families as well," Burke said. Her village totaled about 30 families, or 150 to 200 people. The "queen" in Queen Aliquippa was a title given to her by the British, who sometimes bestowed royal titles on Native Americans who had powerful roles in their communities. Burke said she was very loyal to the British, refuting diplomatic actions of French colonizers. By 1753, Queen Aliquippa and her village had moved to present day McKeesport. This is where she met 21-year-old George Washington, who was on a diplomatic mission for the King of England. "And he learns on his way back that Queen Aliquippa was not happy that he passed by her town without stopping to visit her," Burke said. So her turned around and went back to meet her. All we know about that event comes from Washington's journal. "In his journal, he says he gave her a matchcoat, a kind of decorated blanket, and a bottle of rum," Burke said. "And he says she was much pleased with the latter." At the dawn of the French and Indian War, 70-something Queen Aliquippa trekked more than 100 miles east to move her village to Aughwick, the home of Washington ally George Croghan. "And that's where she dies in 1754," Burke said. "In Croghan's journal there's a mention in December of 1754 that, 'Aliquippa the old queen is dead.'" Queen Aliquippa had at least one son, Kanaksusy, who became a liaison between the Seneca Nation and the Pennsylvania Colony. It's also widely reported that she had at least one daughter, named Summer Eve. Burke said it's hard to trace the genealogy of someone who lived so long ago. But, after pouring over historical documents on ancestry.com, cousins Sheila Jordan and Jan Sartorius are pretty sure they have Queen Aliquippa's blood running through their veins. They would be her great, times six or seven, great granddaughters. 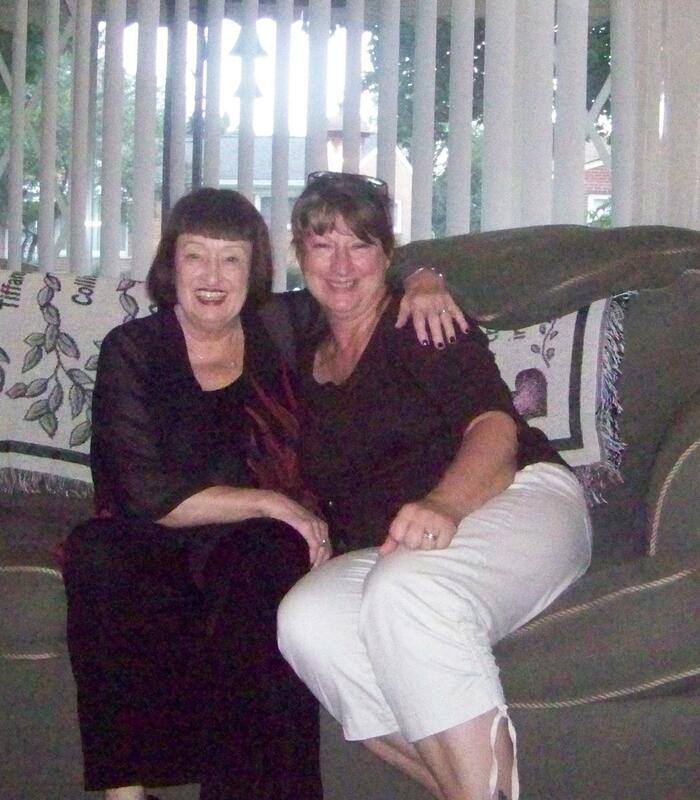 Sheila Jordan (left) and Jan Sartorius (right), descendants of Queen Aliquippa. Jordan grew up outside of Johnstown, Pa. but for decades, she's been a jazz singer in New York City. She still tours at 89-years-old, and said she talks about her ancestral line during her concerts. "I started singing some chanting stuff, and I do it at all my concerts now," Jordan said. "And I talk about Queen Aliquippa because she was quite the woman." Sartorius was the one to uncover their connection to Queen Aliquippa. She said she always knew she had Native American ancestry, but had no idea the regional icon was part of her past. "I take a lot of pride in knowing that she was a strong woman for those days, not only as a minority as a female, but being a minority as a Native American too," Sartorius said. The Pittsburgh region's Native American population has shrunk substantially since the days of Queen Aliquippa. Forced migration pushed native communities farther west, and ultimately onto reservations. Thousands upon thousands died due to disease or conflict. 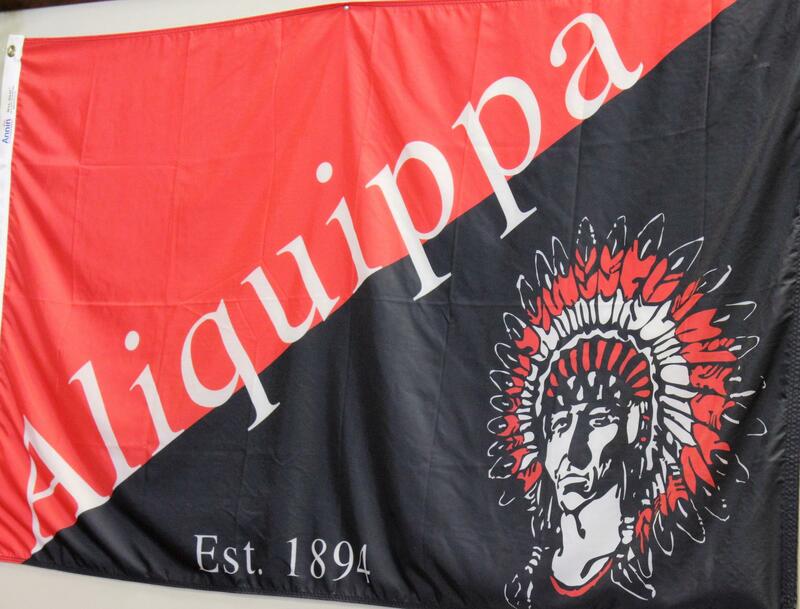 But Queen Aliquippa's memory lives on, not only in museums and artifacts, but in the city that holds her name.